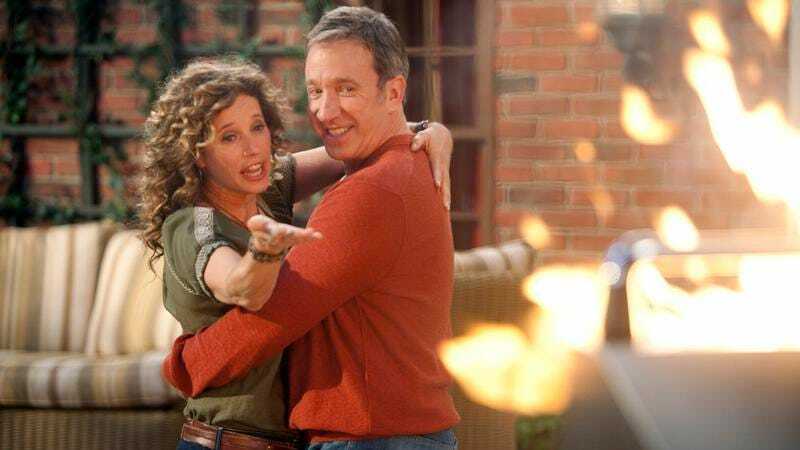 In what must be the clearest evidence yet that the whole entertainment industry is run by soulless liberal snowflakes who can’t handle a manly man show about a manly man who does manly things, Country Music Television has decided not to revive Tim Allen’s canceled ABC sitcom Last Man Standing. That comes from The Hollywood Reporter, which says CMT couldn’t work out a deal with production company 20h Century Fox, despite the fact that the network already airs syndicated reruns of Last Man Standing and recently revived Nashville. As we noted a few days ago, insiders suspected that taking on the show would’ve been very expensive for CMT, so Last Man Standing not getting a revival probably has more to do with Tim Allen or 20th Century Fox wanting too much money than it does with crooked liberals trying to stamp out good-natured, right-leaning TV. Of course, Bill O’Reilly just revealed that a shadowy cabal of progressives is trying to secretly destroy all brave and honest conservatives, so maybe they’re also holding back Last Man Standing. It certainly seems like something those jerks would do.